I like to think I'm pretty good at guessing what's inside packages and wrapped gifts. Sort an annoying habit for all of those around me, I know, but I've just always been that way. There's a whole routine - a little shake, a couple taps or a knock (depending on size), another few wiggles. Usually I'm pretty close - the only significant, way-off guess I can recall is when I thought I was going to get a bike as my big Christmas present one year, but I'll chalk that more up to my then-five year old mind not being able to comprehend the magnitude of awesomeness that a G.I. Joe aircraft carrier is. "They're just Fig Newtons," Sandy blurted out. "Stop making a spectacle." Sigh. Was just about there, but you beat me to it, wifey. Thanks. And I wasn't making that much of a spectacle, either. Anyways, yes, take a look at the product shot on the left. 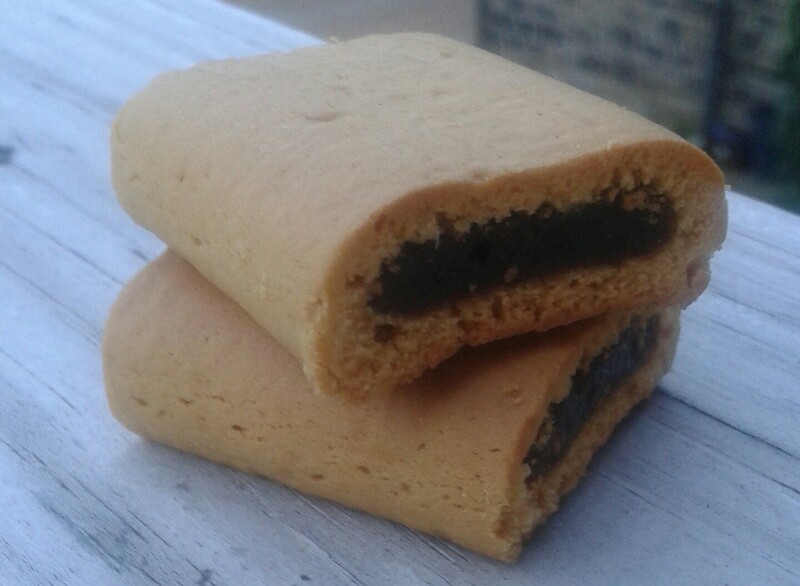 "Just Fig Newtons" is about the most accurate description possible for them. Now, it's been a long time (years?) since I've had an actual authentic Fig Newton Fig Newton, so I may be a little off base, but there's not too much distinction I can draw between the two. The cookie casing might be a little cakier and not quite as chewy, with the fig portion a slight bit different too...but really, they're just about the same. 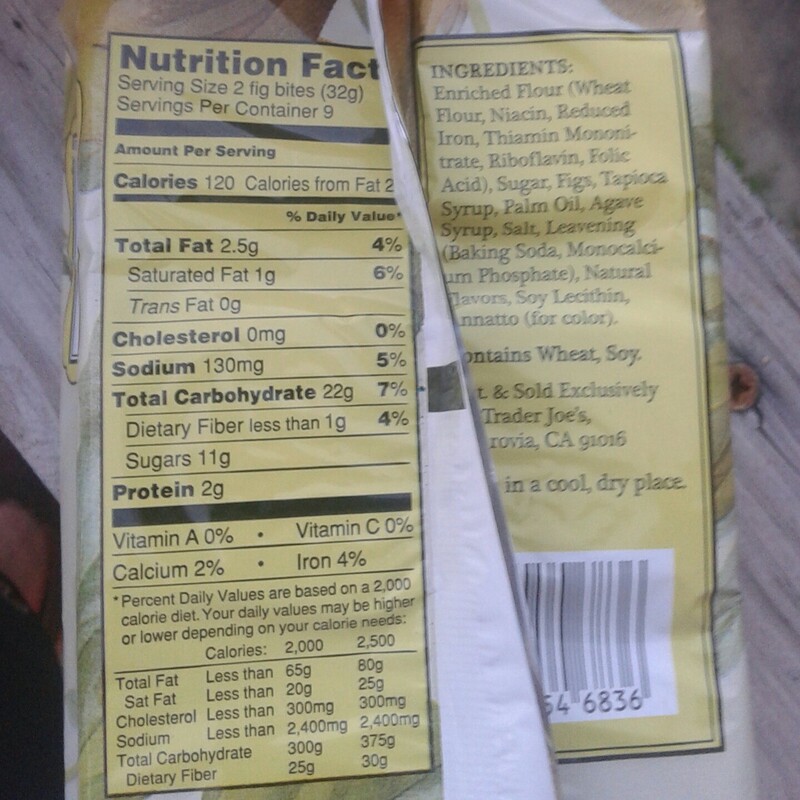 Nutritionally, they're about the same, as well, but with the Trader Joe's advantage of no high fructose corn syrup. 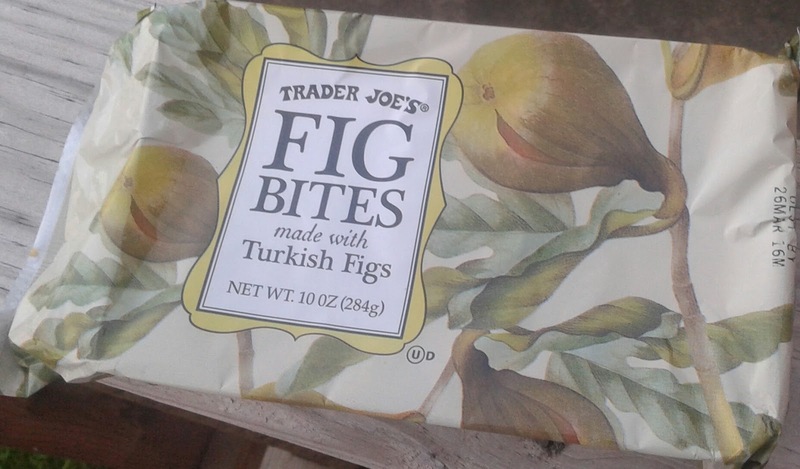 If there's any built-in advantage to a Turkish fig, well, someone will have to fill me in here, I'm ignorant. Really, if someone made me do a side-by-side comparison, I'm thinking I'd be hardpressed to tell them apart. All of this makes for a kind of "meh" experience for me. I have nothing really against them....but there's nothing for me to loove here either. The best enjoyment I got from these cookies was my eight month old baby girl smacking her lips while she watched me eat them, as if to say "Daddy, pleasepleaseplease, can I have a bite?" I'd be inclined but we're trying to save the sweets 'til her first birthday. Our toddler seemed to like them, enough to ask for seconds (and maybe thirds), while Sandy kinda joined me in the meh-ish middle. For the couple bucks pick up, we'll probably get them again, but we won't go out of our ways, either. As a lover of Figs and Fig Newtons I was excited to see these in the store. 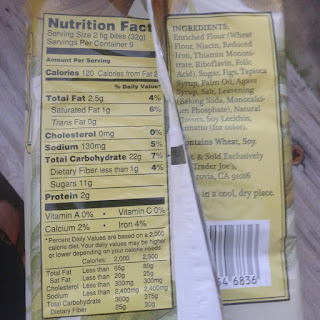 Another important difference to note between these and the Fig Newton brand is that the TJ version doesn't have Partally Hydrogenated Oils -- which was the reason I stopped eating Fig Newtons. I really enjoyed these. I've always been a huge Fig Newton person, but I'd say these are better in every way. Texture is better, with a denser consistency. The richness of the fig flavor is palpable too. This will easily be a recurring buy for me. 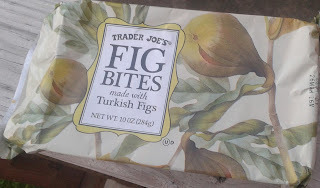 Also, TJ Fig bites are significantly less expensive than Fig Newtons. I loved these. I like that it's has better ingredients than the original brand name. I think they are light and make a satisfying snack when you're hungry and it's not lunch time yet.